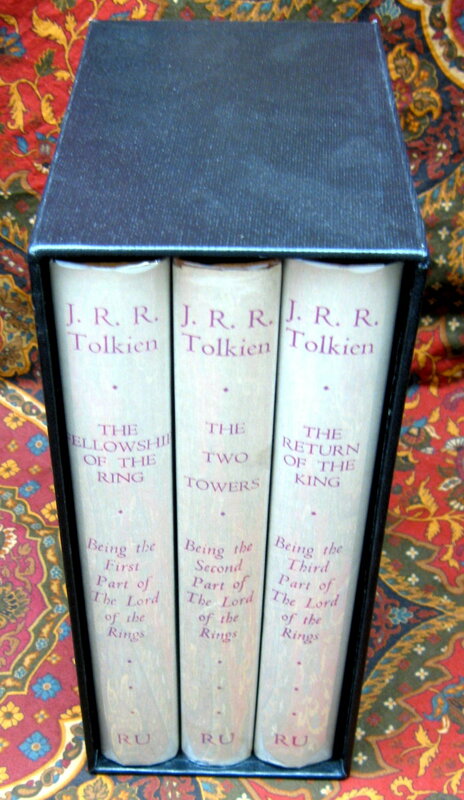 A beautiful looking set of this unusual presentation of Tolkien's trilogy. The books are in Near Fine condition, with no names, writing, and only the lightest offsetting to the endpapers. The gutters of the endpapers look to have been reinforced by the original owner, probably when they were purchased, as there is no evidence of the binding being loose or any separation. 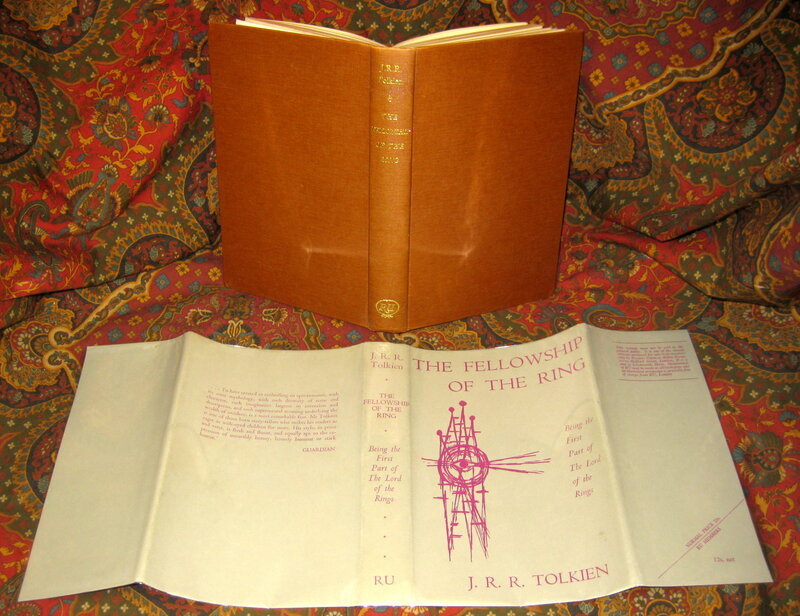 Housed in the original dustjackets, all are Near Fine condition, with the Two Towers having a couple of tiny areas of loss to the top and bottom spine folds, and the bottom of the flap folds. 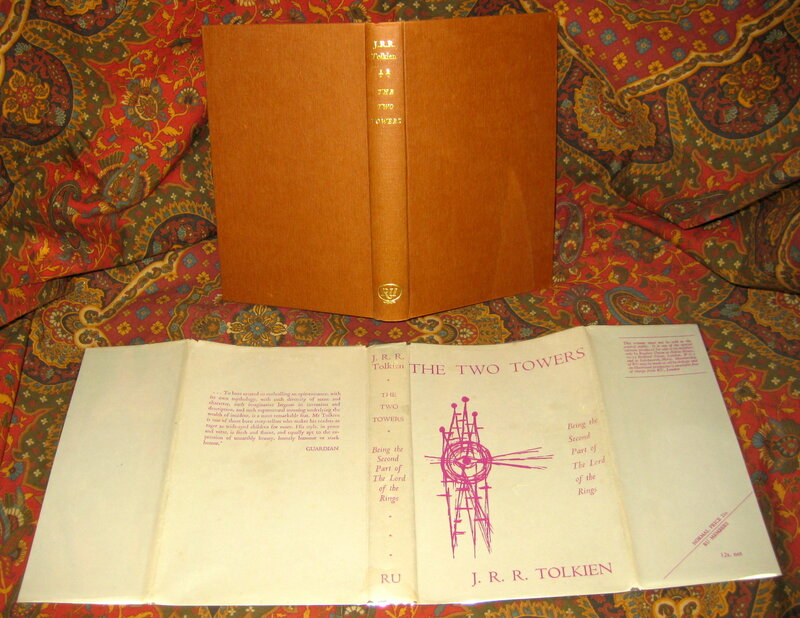 None of the dustjackets are price clipped, showing almost no edgewear or tanning, except the noted areas of the Two Towers. These unusual dustjackets are in fabulous condition. The jackets show no tanning whatsoever to the spines or edges. 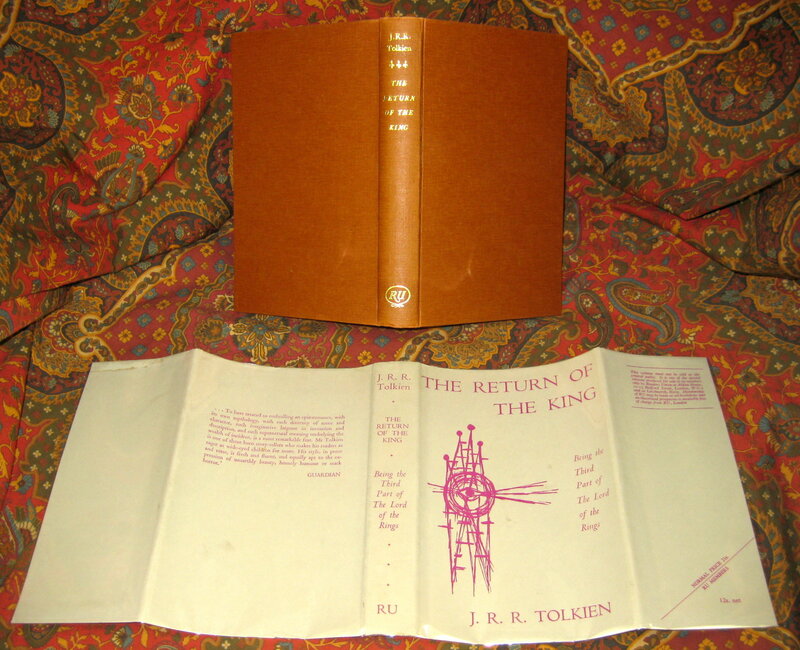 All maps are tipped in at the rear, and in excellent condition. No tears or extra folds, only the slightest of browning mainly at the fold areas.